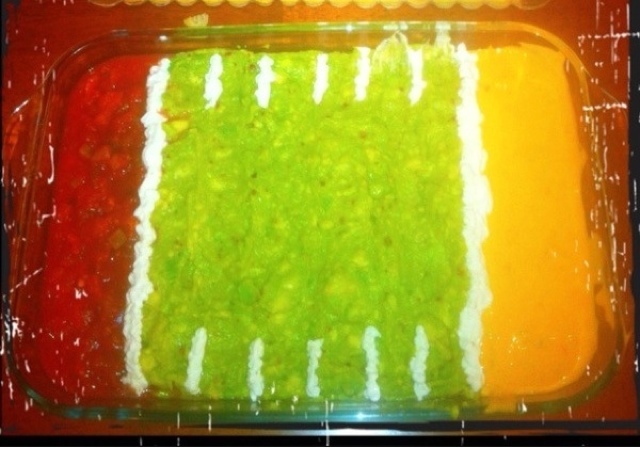 So as I was scrolling through pinterest I came across football food! Perfect for all the football parties we will be having! Yummyyyy!!! 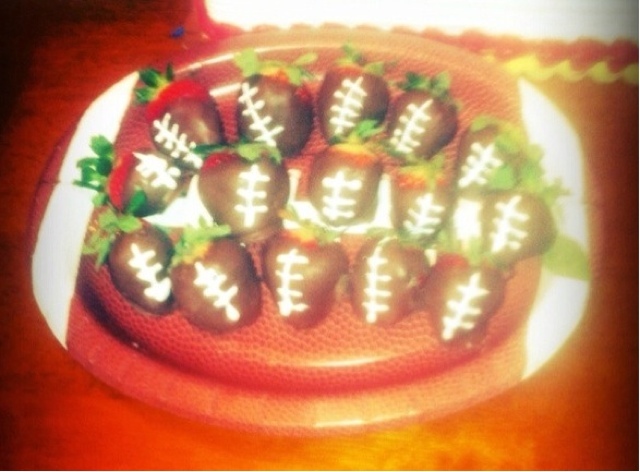 For the chocolate covered footballs I used bark chocolate and melted it down. Dip the strawberries and they dry quickly. I used white cookie frosting to make the lines. super cute, easy, and so good!! For the dip I first put in the queso and I used some chips in between to separate the 3dips. Then I spread the guacamole in the middle (McCormick guacamole dip is my favorite!) and then I filled the last part with salsa. you can take the chips out after you are done filling the pan and it will stay in the form. I then put sour cream in a ziplock bag and cut the tip to use like it was frosting to make the end zones and the yard lines.